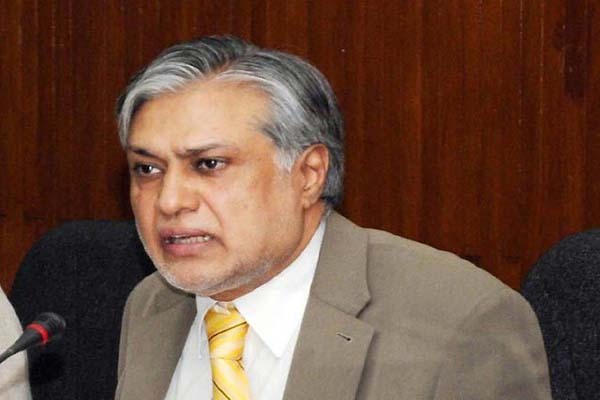 ISLAMABAD, July 31 (APP): Minister for Finance Muhammad Ishaq Dar Sunday said the government was not worried about the scheduled rally of Pakistan Tehreek-e-Insaf (PTI) on August 7. PTI protests had badly damaged the national economy and created hurdles in the signing of agreements regarding China-Pakistan Economic Corridor (CPEC). of national economy, he added. Panama Papers probe were a person specific. The meeting of the parliamentary committee scheduled for August 1 was cancleed as the Speaker National Assembly was informed that opposition members of the committee, including Aitzaz Ahsan and Shah Mehmood Qureshi were not present in the country, he added. He said the government was ready to make a new law on ToR to make the commission more powerful. of security in the country, he added. Ishaq Dar said in 1998 and 1999, Pakistan had 1200 MW surplus energy and even negotiated with India to sell the same. Now there was shortfall of some 5000 to 6000 MW in the country. Former president Pervez Musharraf government did not launch any power generation projects to overcome the shortage, he added.